Rare Vintage elf egg timer. Kitchen figurine. 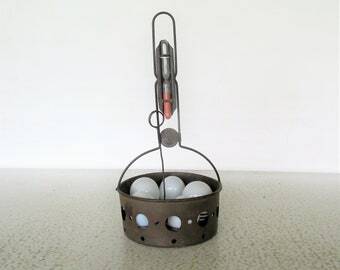 Rare 1912 Antique Boiled Egg Timer Basket Steel Carrier Display with 5 Glass Eggs Reeves Co.